Snoop Lion’s latest video for his single “Here Comes the King” is an epic anti-hater anthem and a celebration of peace, love and unity. From the forthcoming album Reincarnated out April 2013 on RCA/VICE. Thanks to RCA, VICE, Stampede, Cashmere, Carleene Samuels / Creative Source / Prana Lifestyle, Jay Wills, Willie Toledo, The Jamfit Cheerleaders of Kingston, Gee Jam, Jon Baker, Steve Beaver, Trident Castle staff, Juliette Eisner. Get your copy of “La La La”, Snoop Lion’s first single off his forthcoming album Reincarnated. 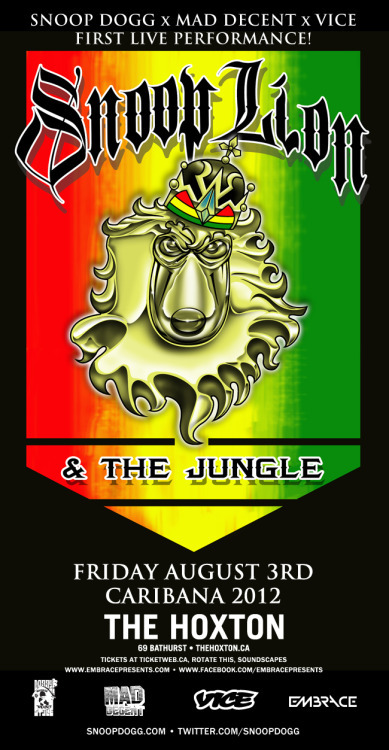 See Snoop Lion for the first time in the Jungle tomorrow! Come through to the Hoxton in Toronto!! Get your tickets here!! 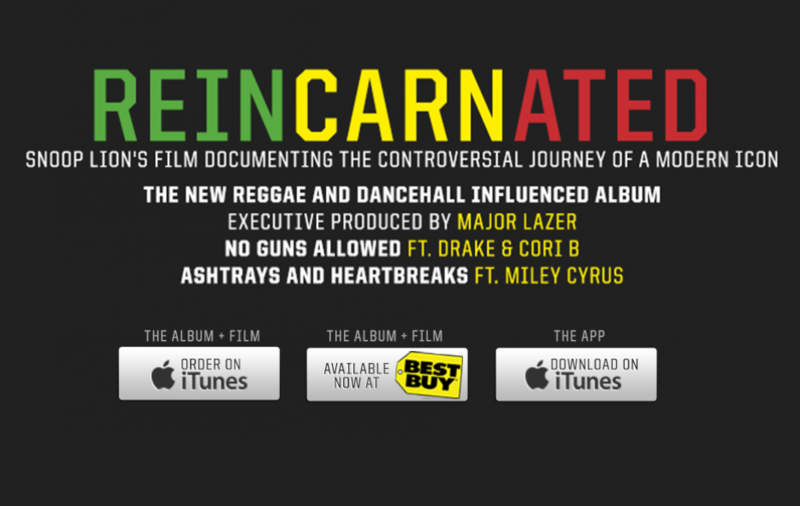 REINCARNATED documentary trailer out now. We’re an official TIFF selection!! !